I know what you’re thinking, how can you optimize a video when there’s no written content? Well, you can’t necessarily optimize a video’s content, but you can optimize your YouTube channel and other elements of your YouTube video. Since YouTube is the second largest search engine behind Google and is also owned by Google, it’s important to optimize your videos and channel to make it easy for your audience to find your content. Just like Google, YouTube has its own algorithm to rate your videos. 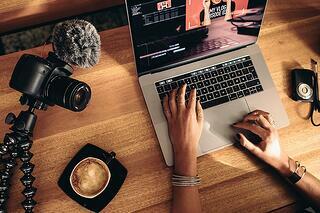 Follow these best practices to improve your YouTube channel’s visibility and video rankings. You want your YouTube channel page to resemble your homepage, with the same branding elements so it’s recognizable to your followers. This includes a channel name, channel icon, header images, social media, and an “about” section. Also, consider adding a trailer video to your home screen to introduce your viewers to your profile. 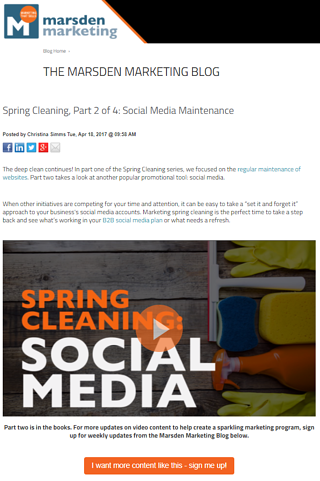 HubSpot’s YouTube page is a great example of excellent branding in action. Like your blog, you need to keep your channel active by replying to comments and uploading videos regularly, so you don’t lose subscribers. Try to set up a video content calendar at the beginning of every quarter, and stick to it! A recommended schedule would be to post monthly or weekly, and keep your posting days consistent (so if you plan to post on the first Monday of every week, don't jump around and post on different days). Create different playlists for series and topics to make it easier for your audience to find content they’d be interested in. Also, you can change the layout of your main page to include your newest video or different topic sections. Watch time: This is similar to a bounce rate on your website and allows YouTube to gauge how engaged your audience is with your video posts. Keyword relevance: Essentially, how relevant are your tags, description text, closed captioning, and the title to your main keyword? Number of subscribers: YouTube does favor channels with more subscribers, but that doesn’t mean smaller channels don’t have a shot. Engagement with videos: YouTube takes into account how many likes and comments your video receives. Video views: To compete for a keyword, your video needs to have a lot of views. To increase your views, try posting it on social media, your website, in your email signature, and share it with your audience. You can also accelerate your channel’s growth by advertising on AdWords for video on YouTube. Video quality: HD videos appear on the first page ahead of SD videos. In fact, 68.2% of all videos on YouTube’s first page are in HD. Even your iPhone has HD readily available these days, so just make sure you have the right settings selected when you start recording and when you export your video after editing. Now that we have the basics covered and you’re familiar with the top six factors that affect video rankings on YouTube, let’s take and advanced look at YouTube optimization. Once you’ve got your channel branded and you have an active channel, these are the actions you can take to up your game and compete for the top pages. 1. Content: To help your audience stay engaged and click on your videos, you need to consider what they are interested in. Just like keyword research for blog posts on your website, dive into some keyword and content research for your buyer personas. 2. Description: Your description lies underneath your video and should explain what your video is about. Since YouTube can’t crawl your video for words, it reads your transcript or description to learn more about your video’s content. You have a 5,000-character limit, but only the first two lines appear below the video unless viewers click “show more,” so use it wisely and include the most important information up front. Also, include a CTA or link back to your website to encourage your viewers to learn more. 3. Title: Your title should be under 70 characters and should describe the video’s content and include the keyword you want to optimize. Avoid click bait as this will lead to a low watch time and low engagement. 4. Thumbnail: Consider creating a unique thumbnail for each of your videos to increase the click through rate. Creator Academy reports that 90 percent of the best performing videos on YouTube have custom thumbnails. 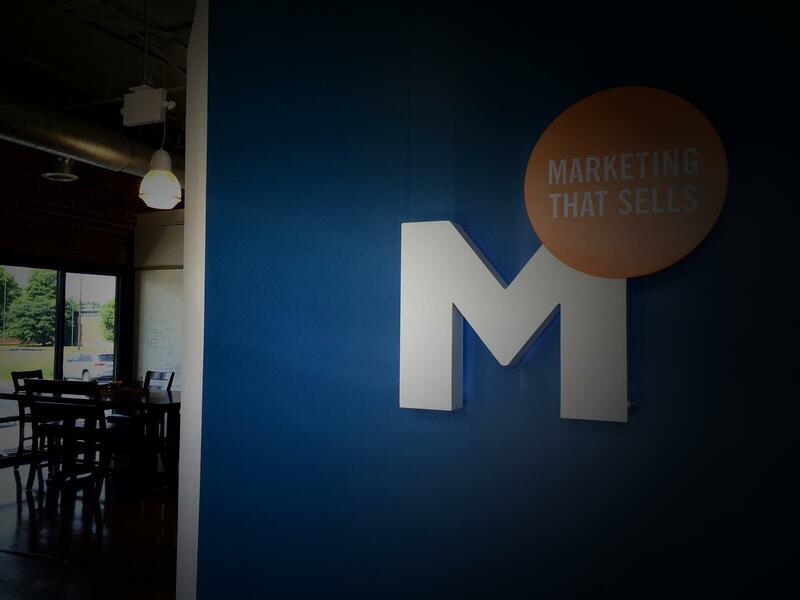 Here’s an example of a custom thumbnail we created for our recent Marsden Marketing video. 5. Video transcript: Closed captions and subtitles help to boost your rankings by including relevant keywords and essentially allow YouTube to crawl your video and discover what it’s about. 6. Video length: Usually the shorter you can make your video the better. Vidyard found the average length for B2B videos is 8 minutes long, but the average video only retains 37 percent of viewers all the way to the end. Remember, YouTube considers how long users were engaged with your content, so try to put your most important information first. 7. Video tags: Tags will help YouTube better optimize your video for key search terms. Add a few tags that relate to your video to help your video appear under these keywords and on the sidebar for similar videos. When adding relevant tags, think about what your audience might search for to find your video. 8. Cards and end screens: Cards and end screens help to enhance the user experience by providing relevant information that compliments a video. Cards are the little “i” you see in the right-hand corner of a video and allow you to link to another video, channel, external site, or playlist during a video. An end screen allows you to do the same thing, but appears at the end of the video. This improves your viewer’s experience by recommending additional content they may be interested in, like a CTA at the bottom of a blog post. Here’s an example of an end screen we used on a Marsden Marketing video. Just like written content, your videos need to be promoted on other channels. In fact, Forrester found adding video to your site increases your chance of a front-page Google result by 50x. Post your videos on your social channels, on your websites, embed them in your blog, and utilize them in paid advertising campaigns. The more subscribers your channel receives and the more views, likes, and comments on your videos, the higher your videos will move up on YouTube search results. Promoting your YouTube channel and encouraging viewers to subscribe is just as important as getting blog subscribers. YouTube will send notifications to subscribers when you post a video, immediately helping you boost your views. We share our videos in our blogs and throughout social media to promote them as much as possible. These steps may seem tedious and time-consuming, but considering all the hard work you put into writing, filming, and editing your videos, you want them to be found. Remember, just like written content, even if you have the most optimized YouTube channel and content, you still need to be producing videos that target your audience with the right content and the right videography. Ready to start making great video content? Check out some more of our other popular blog posts on video marketing! 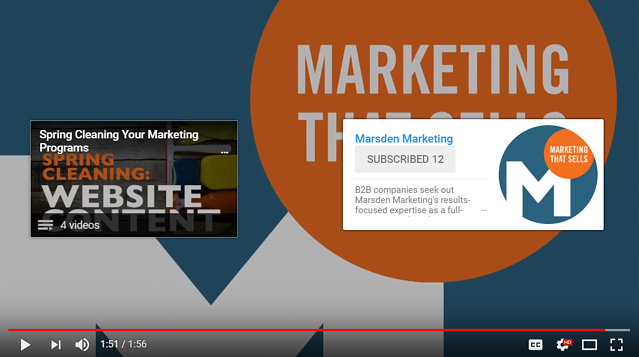 Make sure you subscribe to our YouTube channel for the latest in B2B marketing.